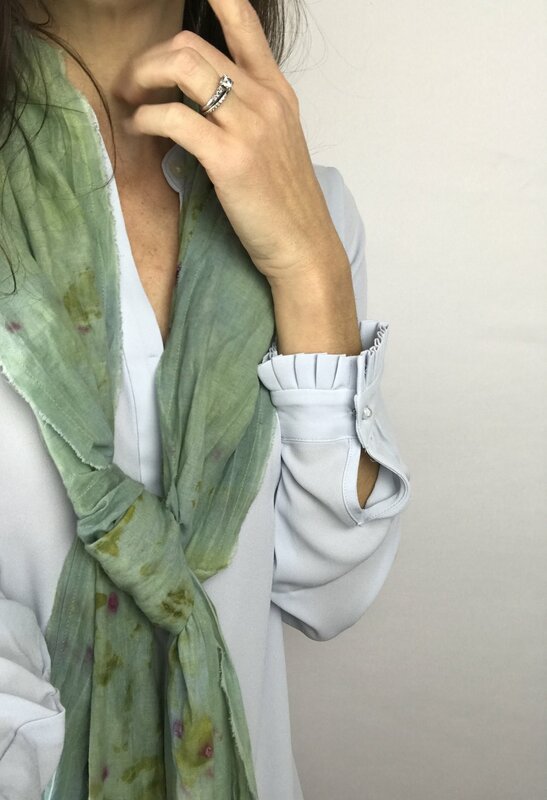 Organic cotton square scarf with raw edge and straight-stitch hem. This mellow beauty is just big enough to wrap around your neck twice or to wear as a full head scarf. Dyed with locally foraged VA black walnut, madder, and onion skins.